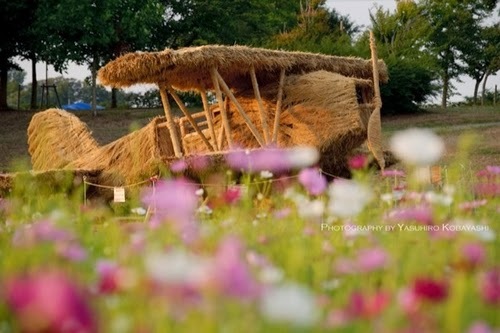 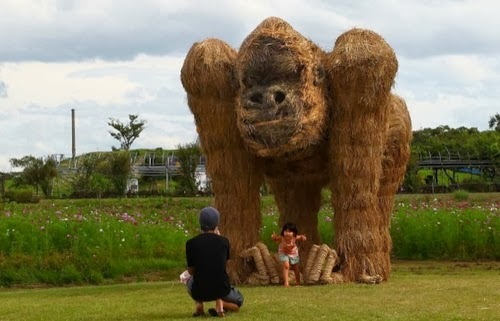 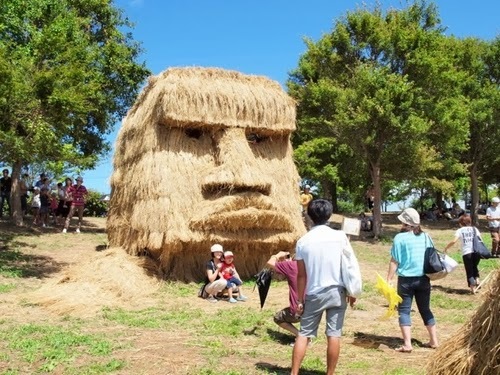 These are Japanese Rice Farmers with a difference. 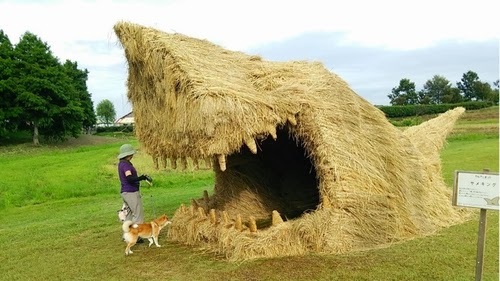 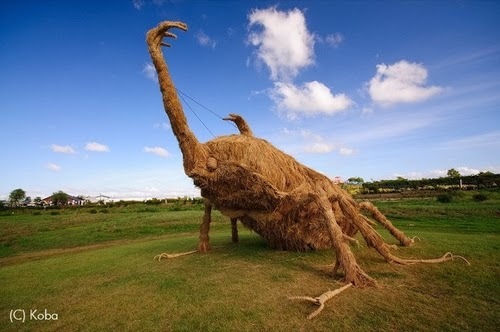 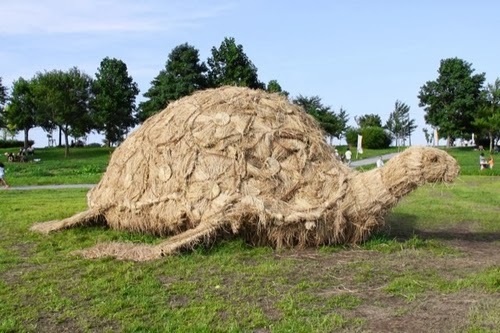 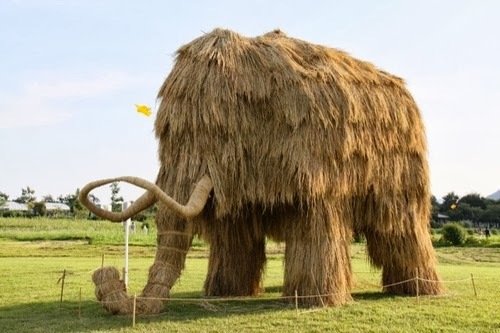 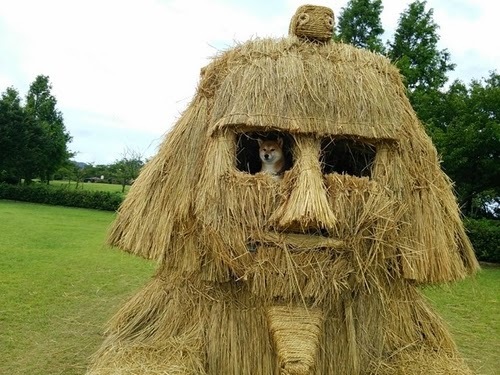 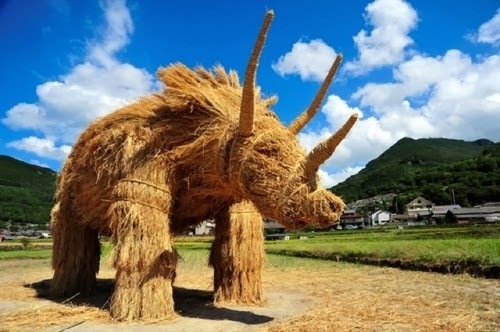 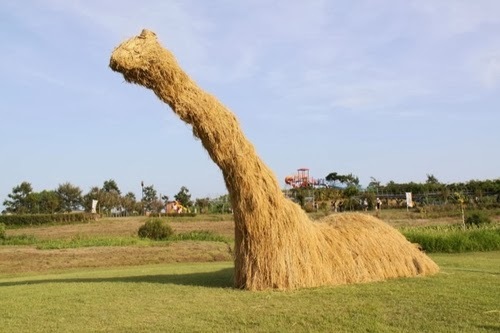 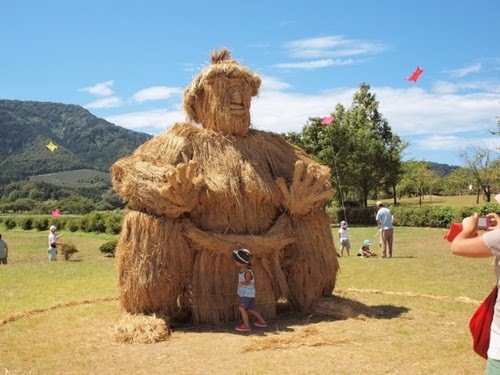 After they have harvested the rice they don't dry the straw in the conventional shaped bails, but in these creative sculptures. 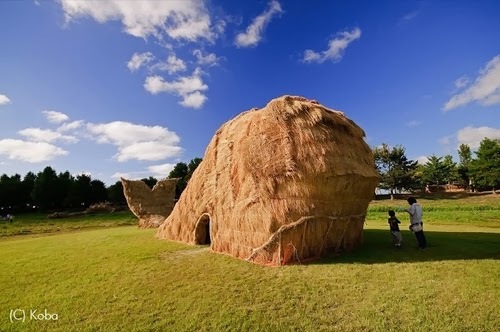 The most famous locations for these sculptures are Kagawa Prefecture and Niigata Prefecture. 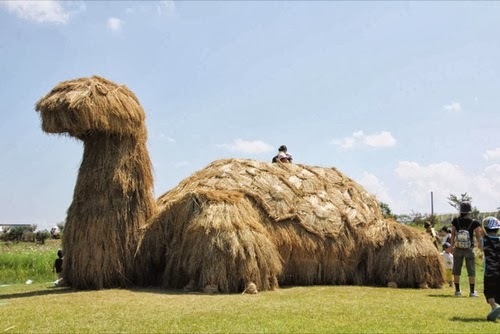 Via Kotaku. 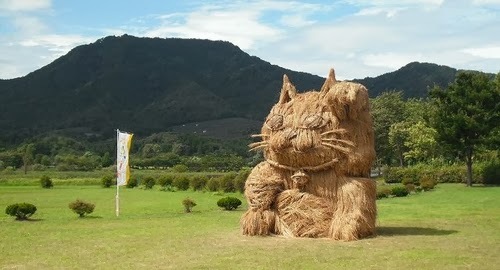 If you like this you might like Tanbo Art - Rice Paddy Art.